So this was a great opportunity to see if the Linn could still cut it in today’s market. The Majik provides a Chakra 90W amplifier that sits next to a phono amplifier that can handle both MM and MC cartridges along with digital-to-analogue facilities. 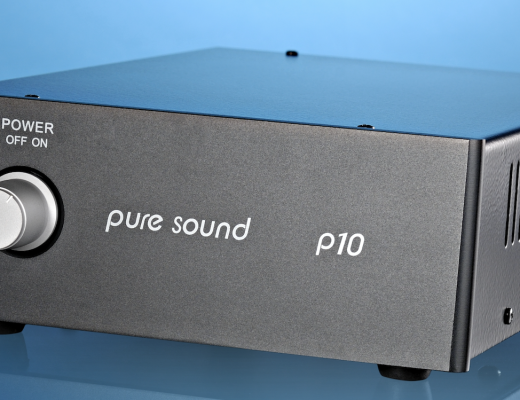 The phono amplifier is set in MM mode, as a default. If you want to use the Linn in moving-coil (MC) mode, this requires an MC Upgrade Kit (available from your Linn retailer) and an internal hardware reconfiguration, which must be carried out by an authorised Linn retailer. The front fascia is a simple affair with its relatively large readout window. To the left is a mute button, smaller volume buttons and mini, 3.5mm headphone socket. To the right is an auxiliary port, source buttons and power button. Around the rear, apart from the power socket and two earths, you’ll find a pair of speaker terminals plus four pairs of RCA ins, a pre-out, Line out, four coaxial, three optical port inputs and an optical output (for an external DAC) as well as four – yes four – HDMI ports. Three are inputs and one is an output. Hence, you can play back the sound of a Blu-ray player or games console and allow the picture to head off to the TV. You won’t find Dolby Digital or DTS, though. There’s also an Ethernet port to connect to a network and two Exakt links (to connect to other Linn devices). As for USB? Well, there are no USB ports which I find a little strange in a fully featured box such as this. Connecting a quality DAC via a laptop, for example, is a frequent pursuit these days. For music streaming, the Majik hits 24bit/192kHz but DSD is not supported although Tidal and Qobuz is. I would be interested to know if you have any comments regarding the Linn statement and DSD. Do you agree or disagree and, if so, why? What are your experiences with DSD, 24bit/192kHz and PCM? If you do have any thoughts, please add them to the bottom of this review. Finally, the system arrives with a decent silver, TV-type remote control. Weighing in a 4.9kg, the DSM spans 381 x 91 x 355mm. I then downloaded the Linn Kazoo app on my iPhone to help enable streaming as well as a host of Linn software-based systems on my MacBook including Kazoo (with Konfig which had to be downloaded, installed and configured first), Songcast and Kinsky. Songcast seemed to have an issue with my browser, Safari and so failed to run. The others failed to work either. At least, for me in the test time I allowed to it. You know what? I respect the whole server thing and the extra features that they offer and I know that there’s lots of other branded servers from other companies online too and plenty of people love those and I know that a lot of those work really well but, facing all of these Linn apps, all at once, I just felt confused. I just yearned to be able to send a quick sound file with my phone or laptop to the Linn. There and then. The failure to get these apps to work is probably down to me and my ineptitude and Linn’s techie people are, no doubt, in fits of laughter and probably can’t believe that I didn’t get the system up and running and label me now as a complete prat. But look, I just wasn’t in the mood for the software hassle. I was a PC user for 25 years (I even edited two national UK PC magazines) and I’m done with that nonsense. Nowadays, software is supposed to chase after you – not you after it. I fiddled around with the programs and felt lost within them. All I wanted was something like Airplay, Bluetooth…anything but the Linn does not feature those protocols. The above software apps were less than friendly, involved lots of hunting and frustration and setting up and…well, I just wanted them to work. And I didn’t want to do any work, if you see what I mean. I’m now a Mac user. I felt as though I’d just booted up a PC again. I didn’t like the Linn app experience. I moved to CD/DAC and one of the strangest yet best dance tracks of the 90s, The Shamen (and Terence McKenna) with Re:Evolution. As McKenna talks in plodding spirals, The Shamen provide an uplifting and complex suite of beats. The overall sound quality is definitely solid state in tone, approach and presentation. This is not a warming, valve-like sound but one that, while not bright or strident, is definitely on the cooler and slightly clinical sides of the overall sonic pattern. What does this mean in practical listening terms? The McKenna, um, speech was clear, concise and open with a precision to the nth degree. This enabled his diction to be truly ‘on point’. At very high volumes, this style of sound can induce a measure of listening fatigue but there are plenty of people out there who will appreciate this approach (I’ve spoken to many hi-fi fans at hi-fi shows, for example who love this approach to sound) as it also digs into the mix, exposing every aspect of it meaning that even subtle areas are spotlighted while complex pieces – this track featured multi-layering of synth lines – are easily followed and tracked by the ear. Bass, while lacking an organic character, was focused, tight and punchy. I then plugged in my Red Wine Audio-modded Astell&Kern AK120 DAP and played Bob Marley’s Jamming at 24bit/96kHz. Despite the less than organic bass, the lower frequencies were strong with fast transients that moved the music on a fair pace. That said, the general soundstage was impressive in terms of the instrumental separation. This was a busy yet uncluttered soundstage that allowed the ear to roam from channel to channel, picking up even subtle information. Marley’s vocals were open and clear, sprightly and full of energy. Although the treble-infused cymbals had a slight splashy edge, the secondary percussion was precise and clean in tone. I played Connie Francis’ original pressing Sings Bacharach and David (MGM) from 1968 via a Rega RP3 and found the performance excellent. Yes, the personalty of the Majik was retained as it shone a spotlight upon the midrange but that midrange was also relatively open and spacious with plenty of opportunity for subtle reverb tails to extend into the distance while even minor detail was served to the ear without any problem at all. I then tested the headphone amplifier via a pair of Sennheiser HD650 headphones via the same Connie Francis recording and was was wholly impressed by the performance of this module. Hardly a throwaway extra, the headphone amplifier was both insightful and svelte with no smearing of the mids or blooming of the bass while providing clear and informative detail. The Linn Majik DSM is a neat and tidy design that is packed with features and can be utilised in a hi-fi system or a more lifestyle, TV-oriented chain. Despite the plethora of buttons and sockets and facilities that spout from within, I was perturbed by the lack of USB facilities. Any and every all-in-one product needs at least one but more likely two or three USB ports. 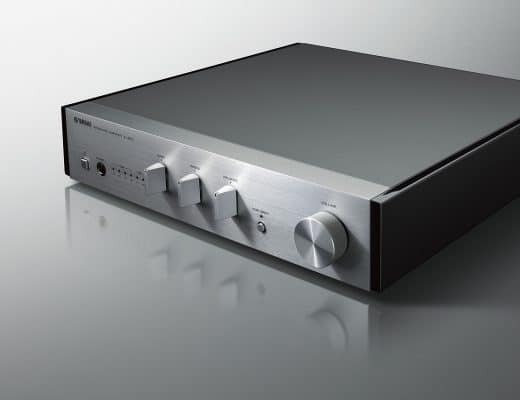 Often, higher resolution music can often be only accessed via USB on some connectable hi-fi kit while DSD is becoming a viable option in terms of alternative formats. Downloadable DSD albums are on the up while the format is even becoming popular now in terms of vinyl ‘ripping’. Pro-Ject’s newly released Record Master is one such DSD ripping-oriented system for analogue fans. These missing elements all impact on the value for money rating. I thought long and hard about the rating. The app issues were not a deal breaker, this unit can easily be enjoyed without them. Despite the wealth of facilities, though, basics like the missing USB and also the arguably expected DSD and still being asked to pay almost £3,000 just did it for me. That said, I don’t want to appear damning here. The Majik remains a wholly capable and feature-laden device that is easy to use (apps excepting) and provides a niche sonic presentation that will be loved by many. I have yet to hear any DSD DAC replay the true tonal colours of a brass instrument or represent that tension properly between a bow and violin strings Etc…on the other hand Multi bit DACs are phenomenal (pcm) are in doing so. USB is an inferior method of transferring what amounts to dynamic real time and instantaneous playback and should have never made it as far as it has in the audio world. Rife with electrical noise on the power bus it’s a problem in recording studios too. Thank you very much for your reply. You’re obviously passionate about your hi-fi sound and I respect that. That said, our listening experience has obviously been very different and, I suspect, out expectations may very well be different too. And, hey, vive la difference! Being a Linn owner I must say I have never even missed the availibility of an USB port. 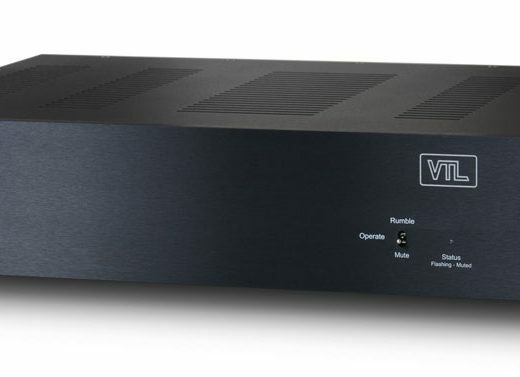 If I would really want to, I could put a stick into my NAS and have that play the music to my Linn equipment, but even that hasn’t happended for over a year. As for DSD, if you look at the specifications of the DAC inside the Majik DSM (https://d3uzseaevmutz1.cloudfront.net/pubs/proDatasheet/WM8741_v4.3.pdf, the block diagram on page 2) you’ll notice that it has 2 DSD options: either play DSD directly, or transform it into PCM so it can use the PCM digital filters. Linn -needs- the PCM digital filters as that gives an interface to SPACE optimalisation, digital volume control, and Exakt when applicable. The DSD directly path doesn’t make any sense in a Linn DSM and neither does the transformation of DSD to PCM inside the DAC, as it is much better to have that transformation already done at the NAS. Besides, a music server like Mimim can transcode DSD to PCM on the fly so if you really must, you can keep your DSD files on your NAS. I can understand that at first glance the absense of both USB and DSD seem oversights, but once you are used to the NAS being present, it really isn’t. Thanks for your thoughts, Martin. Appreciate your time on that. In today’s market, the omission of both USB ports/compatibility and DSD (regardless of Linn’s “take” -that btw, who gives a parc) is abysmal -as no doubt is their failing, fiscal ‘bottom-line’. L$3K ! -I’m still laughing. Being a Linn owner, we have spent more time trying to get the software to work. If it wasn’t for my computer experience, my husband wouldn’t be able to keep it operating. Great sound that comes with a ridiculously crappy assortment of software. Thanks for sharing your experiences, Mandy. Appreciate it. My review of your review will produce the same sum. First, what was the rest of your reproduction chain? UE Boom 2’s, or B&W Nautilae? Cables used? As for your complaints about software, many other reviewers, and my own experience show Linn software to be fairly seamless, but not perfection. I often have to reboot my network to get everything to work. To be fair however, I think that happens with many of our tech products today. Linn taking the open source approach to its software has helped this small company make a pretty good front end. The thing that shocked me was your lauding for vast computer knowledge while being an apple person. Asking for airplay or Bluetooth….really, you do tout yourself as an “audiophile”? If the most you can muster is lossy airplay, go buy three grand worth of Sonos. I first bought an HRT Streamer which I streamed out of my pc and into my system. I hated having to have the PC on all the time, and Foobar took a bit of fiddling. Later I got my first big boy streamer, an Oppo 105/D, and realised the USB was not the way to go. Here is where I question the core of your argument. If you really want to do digital music, you need a NAS, period. As stated by someone above, USBing any computer to your system is suboptimal at best. Is it a bit tricky to get Minimserver running on a QNAP NAS (sorry, the only way to go), yes, but welcome to the modern world. Because of this I truly question for competence. I live in a jurisdiction that Tidal, Spotify, and Quobuz (sp?) are not available, but a computer audiophile expert such as yourself should have had access to, and the savvy, to use and test these services, all of which are available in the main drop down menu of Kazoo. The Linn software has been much more reliable, and has a ton more features, than that of the Oppo. I question the commenter above about having to fiddle with the software. Neither the Oppo, nor the Linn, both still used daily in my system, have required anything more advanced than a reboot of all my network components and devices. My simple adage is you don’t have a computer problem until you’ve rebooted EVERYTHING at least three times. I have my router and NAS auto reboot themselves at 04:00 nightly, and sometimes I can go weeks without connectivity issues. Try that…but mostly, you don’t have a proper digital playback system until you get a NAS. If you can spend the equivalent of a decent used Honda Civic on a hifi component, you can spend the equivalent of a new set of tires for it for a NAS. Yes! I hope anyone coming too this review will also vote in the affirmative. Do I now have an all Linn system including cabling (incl QNAP NAS)? Yes! That makes me as much of a fanboi of Linn as you are of Apple. Have we both drunk the Koolaid and are evangelists for our respective deities? All I know is when I went from my extremely well regarded Oppo, to my Linn MDSM I was staggered by the improvement in sound quality, depth, detail, nuance, soundstage from the first notes that came out of it. Later I applied Linn’s SPACE Optimization, a very important technological component of Linn’s setup that you don’t even mention, and the sound took another leap forward. To anyone who stumbles upon this top of Google search term review, please look elsewhere for for more comprehensive advice on how to spend a significant amount of money, as this review lacks rigor, and is sorely lacking in technical basics. Sorry bud, do better! Don’t even get me started on valve wannabes, it’s 2018…. Thanks for taking the time and trouble to pen your missive. Where to start? Well, I can see where your coming from in terms of sonics re your comments and, more revealing perhaps, your outgoing comment re valves. You have you own sonic bias towards the digital side of Linn, how Linn does things and why and Linn’s digital sound, shall we say. And that’s fine, by the way. I have no issues with that. I applaud your decisive stance on the matter. Because of that, we differ from the off because my aim in hi-fi life, which you’ll see by reading any of my editorial comments within this site, is towards balance and neutrality. Actually, I think Linn can be pushed more towards neutrality if only the company addressed ‘noise’ properly, but that’s a different kettle of fish. As a pro-Linn voice, the fact that even you have had software issues and have spent time tweaking your digital set-up speaks volumes. In this day and age there should be no/zero/zilch software issues. At all. From anyone. I’m more interested in listening to music than working ‘under the hood’. The issues I had with Linn reminded me of working with PCs in the 80s. A period that still sends shivers through me. The bottom line, though is there’s no excuses here. Linn is not the only company to issue dodgy software onto the populous. I have criticised other brands for the same problem. Yamaha springs to mind, for example. The external version of Google’s Chromecast is another. That doesn’t mean that I have to be spoon-fed less than stable software and then doff my cap in thanks and keep quiet about it. I acknowledge that streaming is a popular music format. I am not a fan of streaming by any means, in strict audiophile terms but, as a reviewer, I am here to represent as many people as possible and many of my readers want and insist on Bluetooth/Airplay. Hence my reasonable call for either/both format(s) to be included. USB is actually an excellent interface if done properly (while USB-based solid state media is inherently quiet, as least in relative terms). For an explanation of the potential of USB, witness my review, on this site, of the USB-only DAC from CAD which received a very rare 10/10 Golden Groovy. Doing USB well is all about implementation. NAS drives are as noisy (in veiling terms, that is) as any other digital delivery system. On that point, I utilised the AK120 DAP in the review which is a solid state device which at least removes the clanking mechanical aspect of a typical, average NAS. Finally, re Apple and your other points, they have already been addressed in the review. Except I have to add my apologies for leaving out a reference list. Gawd knows why that happened. From memory, I used Tellurium Q cables, Quad and Spendor speakers and, I think, a digital box from Moon. Other kit was quoted in the review itself. In conclusion? I have the feeling that we might have to agree to disagree on this one. You are obviously happy with Linn and your Linn set-up and there’s many others out there who will vehemently agree with you. I’ve met a few 🙂 And that’s great for you and your music listening experience. As an user of MAJIK DSM3, I would like to emphasize that DSM can playback high-resolution digital sources as SACD/Blu-ray/DVD audio discs through its HDMI interfaces, however the most of commercially available S/PDIF only support 44.1/48kHz 16-bit mode. I was going to buy this, then I read Geoff’s comment and realised I don’t wan’t to be that person. I currently have a Majik DSM 2, M Exact and M Isobarik actives- and also am a Mac user of many years- my experience over the past couple of years is that Linn’s software is on the whole very stable. Some like Songcast have had compatibility issues with Apple operating system updates. Kazoo is issued by the Apple store and works well. Konfig I found to be stable with no problems installing updates- unless there are compatibility issues with the modem- especially QOS- and an unstable or slow internet connection. I found Space Optimisation to provide an absolutely transformative experience of the soundstage. The Exact Box/ active cards also transformed the sound quality and made the Isobariks sing (which was not the case in passive mode). The MDSM does not sound lacking in warmth in my set up or overly clinical to my or my family/ friends ears- irrespective of the musical source or the type of music. However,I am aware that it could if I had less compatible components. I think there are dangers of the “Best Buy” philosophy of buying the best sounding individual components according to reviews undertaken with entirely different equipment (possibly incompatible) attached in rooms with entirely different sonic characteristics. Hi Gerry – I’m happy to hear that you’re happy with the Linn and I know that many people are, love the Linn system and enjoy the sonic results. If your ears are compatible with the Linn digital musical presentation then that’s great. All I was able to do was to utilise my ears, my reference system, my tonal preferences and report on what I experienced. Reviewing hi-fi is not an objective occupation and that’s the reason I included a comments section underneath each review, to give readers a chance to disagree and put an alternative viewpoint. Which is what you’ve just done and I thank you for it and for spending the time penning your mail.